Masahiro Tanaka is a popular name in the world of baseball. He has pitched for New York Yankees, since 2014. From 2007 to 2013, he played for the Tohoku Rakuten Golden Eagles. He has an estimated net worth of $60 million. Tanaka was born in Itami, a city in Hyogo, Japan. From his early age, he was passionate about playing baseball. He played baseball during Junior High School. Tanaka was born to Kazumi Tanaka and Hiroshi Tanaka. Regarding nationality, he is Japanese. Born on November 1, 1988, his zodiac sign is Scorpio. Tanaka attended Komazawa University Tomakomai High School in Hokkaido. He played outstandingly during his high school years. He had several records on his name. On March 29, 2007, Tanaka made his debut against the Fukuoka SoftBank Hawks as a starting pitcher. In 2008, Tanaka bagged his first career win against the Fighters on May 4. Upon playing several years with the Hawks, Tanaka was acquired by MLB for the 2013-14 offseason at a fee of $20 million. 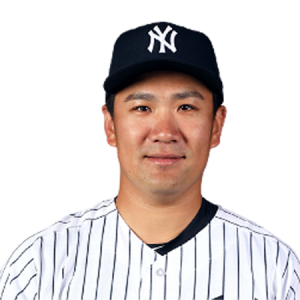 On January 22, 2014, Tanaka agreed on a seven-year contract worth of $155 million with the Yankees. On 4 April 2014, Tanaka made his major league debut against the Toronto Blue Jays. Tanaka was the youngest player in the Japan, who participated and performed in the 2008 Olympics. Moreover, he also represented Japan in the 2009 & 2013 World Baseball Classic respectively. Tanaka is one of the prominent pitchers of the baseball world. He had an excellent command, posting of 1.6 and a K/BB (strikeout to walk ratio) of 5.07 in his MLB career. On Feb 15, 2016, Monday Satoda gave birth to a boy, which weighs 3,360 grams at the time of birth. The child has fulfilled the dreams of the couple. Currently, the lovely couple happily resides with their child in Manhattan, United States. Tanaka has reached the age of 28 now. He has a good height of 6 feet 2 inch, which is around 1.91m. He has a balanced weight of 98 kg. Tanaka is one of the adorable names in the world of baseball. He has millions of fans and followers who follow him on social-networking sites. He has maintained a pretty of bank balance from his career earnings. As of 2015, he is receiving a salary of $22 million. He has a whopping net worth of $60 million. Moreover, Tanaka also well-known for his endorsements. His endorsements paid him about $1 million (annually).